In the spirit of Valentines Day, let’s talk love hate relationships, with a heaping side of Humble Pie. A love hate relationship: it's wild, thrilling and full of passion. But on the flipside, stressful and heart wrenching. I could use this to describe just about all of the most successful and memorable design projects I’ve done. How so, because these two feelings can only co-exist when the heart is “all in” so to speak. Scientifically speaking, there is literally a fine line between love and hate. Some of the nervous circuits in your brain that are responsible for producing feelings of hatred are actually the same ones used to produce the feeling of love. And when you think about it, love and hate do share some similarities. Both are extreme emotions, and both can lead you to do irrational, heroic or even evil things. So it makes perfect sense. This type of behavior isn’t just confined to an idea of romantic love. The most extreme emotions are triggered when the stakes are highest. When one of two parties reveals something of great significance to them (an idea, opinion, feeling, etc.) that the other was previously not aware of. There that something sits, revealed, lingering for acceptance or judgment. Things can either go really well or really bad at this moment. Think about how many times you’ve been overcome with extreme emotions of love and hate toward a friend or colleague that you respect and admire in a situation like this. Or, dare I say it, a client. Ah, yes. There you have it. Admit it, you’ve all been there. The stakes are high, you’ve just laid your heart and soul (i.e. the project that consumed you for just about every waking hour of the past week, month or year) before them. Do they swoon with excitement and exhilaration? Burst with gratitude and admiration? No. No, they most certainly do not. Someone always seems to have an opinion. A tweak. Or the worst— the “I’m not feeling it” look. It never seems to play out exactly the way you had pictured it. How ya feeling now? You’re crushed. You’re angry. You immediately begin fantasizing about the replacement client. The one that will appreciate you, and value your expertise. But wait. Hold on. You can’t just up and play out some ridiculous fantasy of slapping them up side the head and exiting the conference room in some dramatic fashion. You have a history. You have a contract. You happen to like them. Now what? Good news, all love is not lost. I have found this exact type of love hate relationship, with clients especially, to be one of the most valuable and rewarding of all. A long time ago (we won't say how long), when I was fresh and naive, I’d frequently make the mistake of walking out or quitting on the job/project. Until one day, I couldn’t afford to. The stakes were too high. The project was too big. It would be the crown jewel of my portfolio. The first “real project." The coveted annual report. Oh, I was more than pissed with the feedback I received from the client on my concept. Fuming. How dare they, I mean what the hell do they know about type selection, whitespace and grids. Really. I bit my lip, held my tongue, and did something I hadn’t done all too often in my adolescence. I opened my mind, my ears, my heart. I listened. I really listened. And do you know that I was able to hear something I couldn’t hear before? They weren’t telling me what to do. They weren’t pretending to be the experts. They were giving me the same courtesy. Just as I was putting it all on the line, showing them my best work. They were giving me their honest perspective. We were both submitting something to the other, that we previously did not know. That is the love-hate relationship that when mastered makes a graphic designer very good at what they do. That annual report was, and still is, one of my best pieces. The best work comes from true collaboration. And since that one very valuable exchange some time ago, when I discovered the art of listening - really listening - to client feedback, I’ve come to value that the project’s real success depends on it. Like it or not. Love it or Hate it. Infographic: an invented term that smashes together the words information and graphic that is thrown about these days like overused slang. Incidentally, my computer is red lining this word, because even it doesn’t identify it as a real word in our language. Nonetheless, everybody seems to want an infographic, whether they need one or not. They are so popular that knockoffs have become rampant, diluting the value and reputation of this visual tool – which makes the need to better define them all the more important. The meaning of the word is a bit elusive. After all, it’s natural to treat it like a compound word whereby you combine the meaning of two separate words to arrive at a new meaning, like campground (a ground or area in which you camp) or blackboard (a board or surface that is black). Hence, it seems the definition would be information that is expressed graphically. But wait, isn’t that what graphic design is—communicating information using a strategic collective and application of graphical elements such as type, color, image, and so on? Well yes. So what’s an infographic then? Perhaps it would be best to suggest to you that infographic is a noun, a thing whose purpose is data visualization—communicating complex information in a readily digestible way. The operative word here being readily. We all know people process visual information or images quicker than words. If that wasn’t the case, the cliché “a picture is worth a thousand words” would have never caught on. The point at which the picture takes too much effort to process, or understand, is when it’s surpassed its value as a visual aid. 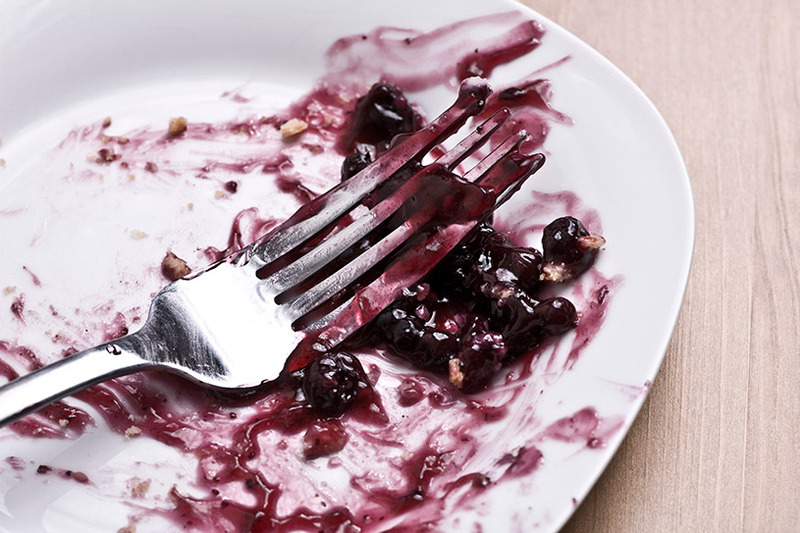 Clarifying what infographics, or data visualizations, are accomplishes two things. It helps those of you who, as of the last decade, have been repeatedly asking for an infographic from your creative team, art department or resident graphic guru understand what one is and decide if you really need one. It offers some insight and reassurance to those of you who often find yourself cocking your head and furrowing a brow while trying to decode what looks like a cross between the women’s restroom sign and the nutritional panel of a cereal box—which, by the way, is an infographic. Why do I care? I believe you should get what you ask for, understand what you’re looking at, and be able to appreciate the intellectual effort and creative discipline it takes to turn an abundance of typically boring statistical data into a succinct, stealthy and very valuable visual. When done correctly, infographics are beautiful components and tools for reaching your audience, and delivering your value proposition. Is your infographic providing clarity or adding noise? Asking yourself these questions is a good way to find out. Does it communicate complex data in a simple and easy-to-read manner? Is the information of value to your intended audience – does it captivate them? Is the imagery, color, and treatment relative to your message or brand? Here are three articles that I like and find to be additionally insightful on this highly overused term and its application that you may also enjoy. What has your experience with infographics been like? Add your comments below or contact Abby Spung to discuss infographics further. Stop right there. A communication channel is not going to solve your branding problem. A small handful of things bring about the need to start looking at your brand. The most obvious but not necessarily the most common reason is the much anticipated launch of a new company or product. Incidentally for us designers, while this is the most appealing project scenario, it has potential to be deceptively challenging, because getting the opportunity to work from a truly “blank sheet of paper” is rare. Other situations that tend to prompt some brand introspection are a change in name, the need to revitalize the brand, or a desire to establish a more integrated image or message, and finally – and perhaps the most prevalent in business today – a company merger and the need to preserve the equity of both brands while creating something new. Make no mistake; resolving any of these objectives properly will be a lengthy and very involved process. And no matter which one is the cause for initializing this process, there is one thing you can do that will help ensure a successful outcome for your branding efforts – involve the right people at the right time. The strongest brands are built from the inside out. From the very beginning, your top level management must champion the effort, passing their enthusiasm and support on to your staff. You will also need to recognize the strengths and weaknesses of your company, seeking outside counsel for support where required. In-House May Be Too "Inside the Box"
After evaluating the structure of many B2B companies in the life sciences and technology industry, a rising trend toward in-house marketing is apparent. Some factors that may be driving this trend are the desire to maintain control—after all, who doesn’t want to be in control— and the belief that the product is so technical that only someone who has been directly involved in its development or who has worked intimately in the field would be able to sell it or market it to such an intelligent niche audience. The drawback to relying soley on in-house marketing is that while those charged with the responsibility for developing or managing the brand have extensive insight and understanding of the market and product, they too often have little to no experience in brand identity development. The best way to compensate for this is to supplement the branding process with some outside expertise. It’s not a new idea. Many successful companies are doing it; and, frankly, it’s likely to be one of the differentiating factors in their success. Because branding is truly about seizing every opportunity to express why people should choose your brand over another, you would be wise to consider at the onset of building a brand identity just how many opportunities there are to account for. 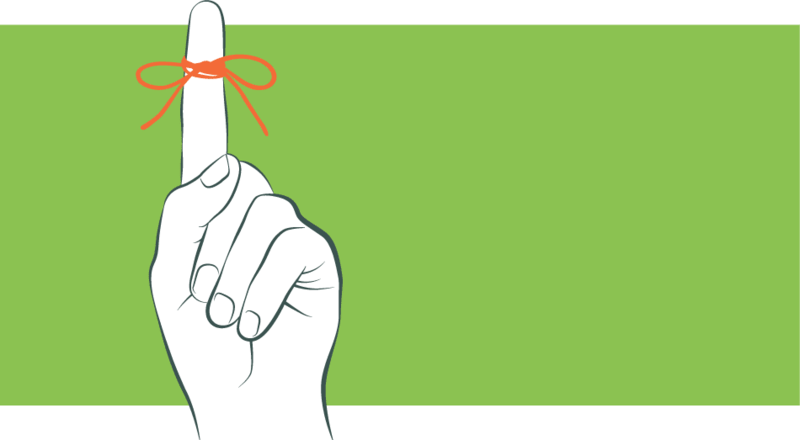 Each touch point, be it a website, blog, business card, speech or even the way you answer the phone calls, is a unique opportunity to reach your audience. Thinking about this and planning for it early in the process is critical. Building this collective toolbox takes time, managing it takes discipline, and knowing when to deploy the tools requires a top-down perspective of the overall goals for the brand. Consulting with creative agencies who are rich with expertise in building and managing brands should be a part of your planning process. By sharing your business goals and objectives with them early you can better anticipate the costs and timelines for going to market with a tangible brand message. Agencies are populated with talented individuals who have spent their entire careers mastering ways to take a message and package it for multiple mediums and audiences, capitalizing on each variance in the medium, leveraging everything from sound, color, space, image, and typography to touch your audience and appeal to them on a visceral level. That, combined with intimate knowledge of the product or company and its stakeholders, is what it takes to be found in a sea of images, brands and competitors across our global market. Is your brand identity sinking or setting sail? To learn more or to begin addressing your branding challenges contact us at 800.606.1610. The life science industry is built on structured and often complex messaging. Explaining the latest biotech innovation or cancer research technique can be complicated and exposes the desperate need for creative talent with an analytical mindset. As a an early design student at Marietta College, I had no way of knowing I would end up working at OffWhite, yet it seemed destined to happen. During my education, I found that my design talent included two opposing aptitudes: one of structure and organization, the other more abstract and creative. Prior to my internship with OffWhite, I had no idea that these two skill sets could be married together so perfectly to meet the needs of a very specific clientele. Laroland is a project I completed while studying at Marietta College and is a good example of abstract explanation of complex concepts through design. Laroland is also a project indicative of the work we do here at OffWhite. The goal of this project was to provide fourth grade students at the local elementary school a set of materials that would help demonstrate one of their school subjects in a way that was visually compelling and more exciting than a traditional textbook. Based on my interests, it comes as no surprise that I chose science as the subject. 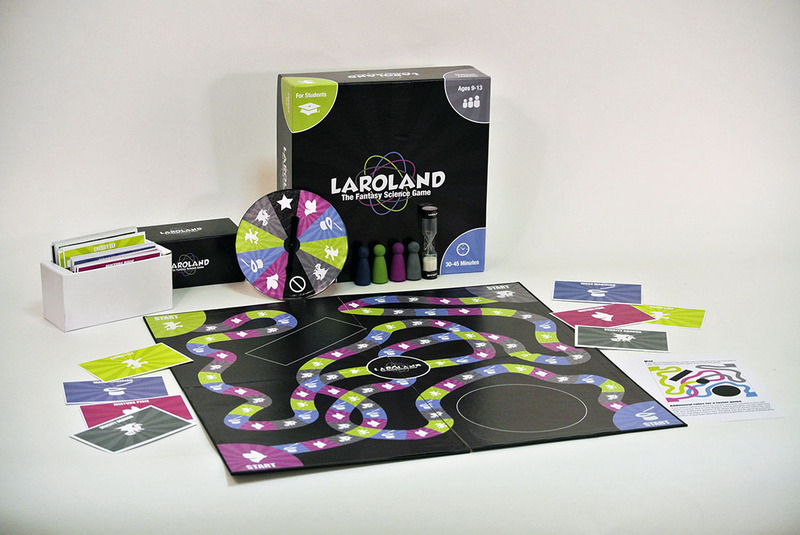 I created a board game named "Laroland" where students would take turns spinning a wheel to determine a question category they would then answer. A whimsical character and color scheme were chosen that visually represented the subject matter for each of the four categories, along with a set of science trivia cards complete with instructional graphics. Little did I realize how closely this project would serve as a parallel for the type of work I do today at OffWhite. Although the target audience is no longer fourth graders, the goal is the same: represent tangible content in a way that is both abstract and visually appealing. In both cases the subject matter is categorized, calculable, and analytical, yet still requires a special sense of creativity and imagination to engage the intended audience. Designing and writing for biotech marketing takes a different type of creative mentality, and since our inception, OffWhite has always stood out as a different type of marketing firm. We specialize in organizing complex information into manageable bits that anyone can understand, but we do it with a clean, concise style. Our goal is to visually express technical content in a way that encompasses the idea of the content without explaining it in an obvious way. We are able to achieve this by utilizing a more creative, abstract understanding of the subject matter. This type of representation, although once removed from the actual content, holds equal importance to the concrete representation. At OffWhite, our team delivers targeted messages through creative expression across a variety of media. Contact us today to learn how we can help you explain your business. From very early on in my graphic design career, one of my sweet spots has been identity design, commonly referred to as logo design — often mistaken for brand design. So, what’s the difference? Hire a designer if you want a new logo. 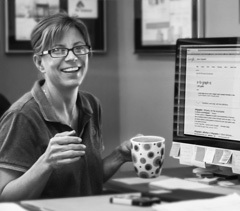 Hire a highly skilled multi-disciplined team if you are building a brand. Your brand isn’t your logo. Your logo is exactly that – a logo. It gets attached to your company’s name or other visually consumable collateral material. Your identity is an astute, multi-channeled summation of what your company stands for, telling an in-depth story with many intricate details and triangulations. Your identity and logo work together to form the foothold of your brand. This foothold grows to represent your promise to consumers, creating an expectation. But, this by no means is all there is to your brand. Your brand isn’t what you think it is. Your brand occupies the space where your promise of technology, simplicity, sustainability (or whatever you’re selling) and consumer expectation meet. Your brand is what your customers think it is. The ability to consistently deliver your promise to meet your consumers’ expectations is what will ensure the positive equity of your brand. Hiring someone to “overhaul” or “create” your logo won’t fix a poorly managed company, or hide a weak product. It won’t cure poor customer reviews, or even step up your market positioning. It may make you look better, though — if that’s all you want. Keep in mind there are many really great looking identities out there that suffer monumentally from poor discipline and a lack of properly managing the brand behind the mark. Conversely, there are some really unappealing or unattractive identities out there that are somehow able to rise to the top. How can this be? Newsflash – it’s not all about the design, which is precisely why a “design shop” can’t deliver what OffWhite can. We aren’t interested in the surface quality or short term benefits (ours or yours). We’re looking for clients with character, with good bones, with a promise that will deliver and a drive that will take them to the top. We thrive on this kind of motivation. Our process isn’t so much about “what” you do, but “why” you do it. What’s your passion? What drives your company? Revealing the story that lies at the core of who you are takes trust. Discovering how to position that story takes talent. Growing your market share takes discipline. When you ask our clients why they like working with us, they’ll tell you they trust us; they’ll tell you we’re talented; and they’ll tell you we hold them accountable. They’ll tell you we’re a part of them. We are the “what’s missing” in the “What are we missing here?” question you may be asking about your company’s image. Contact us and we’ll be happy to discuss Brand Science with you. Once we understand the problem, we’ll work with you to deliver a solution.